Dracula was published in the UK by Archibald Constable and Co. on May 26th, 1897. It was simultaneously published by Hutchinson & Co. under its Colonial Library imprint “for circulation in India and the British Colonies.” Doubleday and McClure Co. published the first American edition in November, 1899. The William Briggs Publishing Co. published the first Canadian edition in July, 1900. By ten o’clock the story had so fastened itself upon our attention that we could not pause even to light our pipe. At midnight the narrative had fairly got upon our nerves; a creepy terror had seized upon us, and when at length, in the early hours of the morning, we went upstairs to bed it was with the anticipation of nightmare. We listened anxiously for the sound of bats’ wings against the window; we even felt at our throat in dread least an actual vampire should have left there the two ghastly punctures which in Mr Stoker’s book attested to the hellish operations of Dracula. The recollections of this weird and ghostly tale will doubtless haunt us for some time to come. It would be unfair to the author to divulge the plot. We therefore restrict ourselves to the statement that the eerie chapters are written and strung together with very considerable art and cunning, and also with unmistakable literary power. Tribute must also be paid to the rich imagination of which Mr. Bram Stoker here gives liberal evidence. Persons of small courage and weak nerves should confine their reading of these gruesome pages strictly to the hours between dawn and sunset. 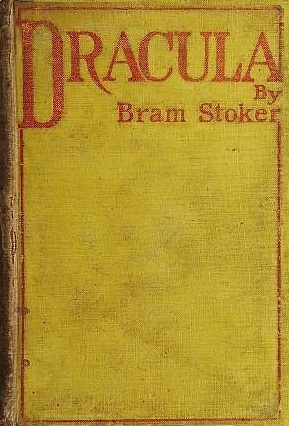 DRACULA, by Bram Stoker, and published by Constable and Co., 2, Whitehall-gardens, is a series of extremely interesting papers and diaries, arranged in sequence by the author. One of the most curious and striking of recent productions is a revival of a mediaeval superstition, the old legend of the “were-wolf,” as illustrated and modernised by Mr. Bram Stoker, in the book which he entitles “Dracula.” There are two things which are remarkable in the novel – the first is the confident reliance on superstition as furnishing the groundwork of a modern story; and the second, more significant still, is the bold adaptation of the legend to such ordinary spheres of latter-day existance as the harbour of Whitby and Hampstead-heath. “Dracula,” at all events, is one of the most weird and spirit-quelling romances which have appeared for years. It begins in masterly fashion in the wids of Transylvania, and introduces to us an ordinary solicitor’s clerk, engaged on a mission to a Count who lives in its most remote fastness. By Bram Stoker.–We must confess at the outset that we are not particularly fond of novels cast in diary form. But Mr. Bram Stoker explains that these papers have been place in sequence, and that how this has been done will be manifest to the reader as he proceeds. 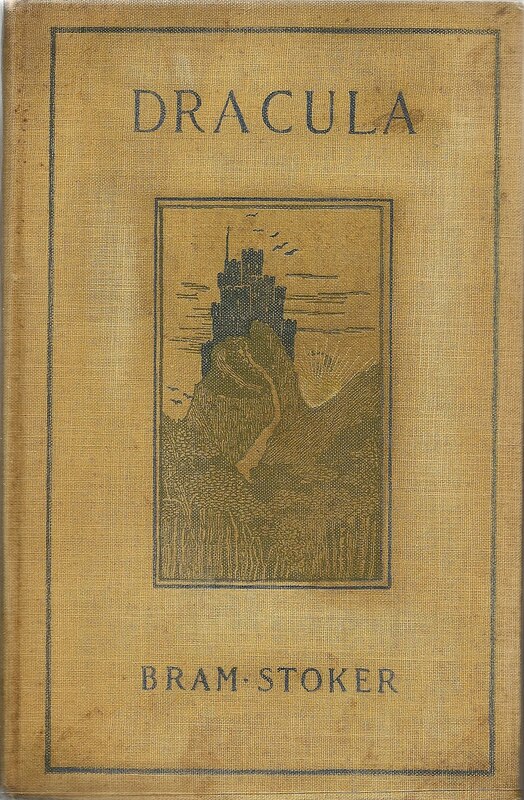 Jonathan Harker’s journal sets forth, in the first place, his quest for Castle Dracula. The district he had to travel “is in the extreme east of the country, just on the borders of three States, Transylvania, Moldavia, and Bukovina, in the midst of the Carpathian Mountains, one of the wildest and least known portions of Europe. I was not able to light on any map or work giving the exact locality of the Castle Dracula, as there are no maps of this country as yet to compare with our own Ordnance Survey maps; but I found that Bistictz, the post-town named by Count Dracula, is a fairly well-known place.” The author gives us some graphic sketches of the country and its people, and shortly receives a hearty welcome from Count Dracula to his “beautiful land.” But the Count was a mystery. When the landlord was asked by the traveller if he knew Count Dracula, “and could tell me anything of his castle, both he and his wife crossed themselves, and saying they knew nothing at all, simply refused to speak further. It was so near the time of starting that I had no time to ask anyone else, for it was all very mysterious, and not by any means comforting.” Jonathan Harker’s account of his approach to the castle is very powerfully told; but we feel as we read it that we are are getting deeper and deeper into a land of shadows, weird and uncanny. A further acquaintance with Count Dracula certainly does not diminish the mystery which hangs about that person. We wish we had space to quote the very clever piece of writing which reveals the fact that Jonathan Harker, the bearer of the sealed letter from Hawkins, and Count Dracula were the only inhabitants of the castle. “I have only the Count to speak with, and he! I feel I am myself the only living soul within the place. Let me be prosaic, so far as facts can be; it will help me to bear up, and imagination must not run riot with me. If it does I am lost.” To those who are fond of the ghastly and the gruesome, “Dracula” will be welcome reading. The story is cleverly constructed and brilliantly told, and we do not think we can add further praise to the manner in which Mr. Bram Stoker sets forth the mysterious and the awful.–London: Archibald Constable and Co., 2, Whitehall Gardens. Mr. Bram Stoker has already made his mark as a writer of romances, but in his latest book, Dracula, just published by Archibald Constable & Co., he has done more ambitious work. Grim legends in which strange beings such as Were-Wolf and Vampire are represented as preying upon human life have for ages found a place in European folklore, an s theme of this weird and eerie kind Mr. Bram Stoker has worked out with the zeal and ingenuity of a Wilkie Collins, telling his story, we should add, entirely by means of letters, diaries and memoranda written by various personages, and afterwards typewritten, with all the sets of facts arranged in chronological order. In surrounding his gruesome and fantastically supernatural root idea with a framework plainly matter-of-fact and purely of 19th Century structure, Mr. Stoker has, we think, gone too far in the introduction of complicated details. As the book also contains much about hypnotism medically employed, semi-medieval philosophy, and applications of the latest information concerning the workings of the abnormal brain, it must be conned very carefully indeed if the reader wishes to grasp all the threads in the author’s elaborately constructed argument. The opening chapters of Mr. Stoker’s brilliant tour de force describing, almost as it were by way of prologue, the first journey of the young English solicitor to the lonely Transylvanian castle haunted by the lonely Vampire or Un Dead, Count Dracula, and his three ghostly sisters who share his avidity for sucking human blood, give the reader at once the proper “atmosphere,” and this section of the book has been more artistically done than the somewhat involved and disjointed conclusion that deals with the pursuit of the dreadful Count and his capture and mercilessly merciful true death just as he is regaining his ancestral lair. Mr. Stoker has a keen eye for the picturesque and the appropriate in his choice of epithets and in his word-painting, and many passages of his story are indeed remarkably written. Those who know the Rev. S. Baring Gould’s little volume on the Were-Wolf, a theme also touched on here and there by Kipling, may possibly not be repelled by the grisly details of two beautiful and virtuous women having the veins in their throats sucked by the red lips, and lacerated by the gleaming white teeth of this centuries-old Transylvanian warrior and statesman, who often appears as a gaunt wolf and a huge bat. Still more horrible is the scene where the solicitor’s brave wife is actually forced by the Vampire to quaff his own nauseating blood, and Mr. Stoker’s treatment of the semi-spiritual connection, even at a great distance, thus established between the Count and his second English victim, recalls one of Bulwer Lytton’s novels. A careful study of the zoophagous maniac who after devouring flies and spiders, is tempted by the Count to taste human blood is one of the most interesting things in a volume full of excellently drawn character sketches; the old Amsterdam Professor, for instance, with his curious blend of ancient and modern science and Catholic superstitions, the self-sacrificing young American, and the asylum doctor, being admirably depicted. A white mist, sea-fog, specks of dust floating in the air, are among the elemental machinery employed by Mr. Stoker, who also lays stress upon the development of canine teeth in Dracula’s prey, and brings in, mutatis mutandis, the stabbing of women recently notorious in London. The author has, perhaps, knocked the nail too often upon the head in his constant allusions to the exact periods of the day during which the Un Dead may arise from their mouldy earth-filled coffins, but yet all who are attracted by the supernatural in literature will find fascination enough in Mr Stoker’s Dracula. We must not omit to mention that one of the most effective elements of horror rests in the fact that the Vampire’s victims, unless purified by a terrible process we need not describe, become, even after their natural death, of the corruption-spreading family of the Un Dead. “THE thing in the coffin writhered, and a hideious, blood-curdling screech came from the opened red lips. The body shook and quivered and twisted in wild contortions; the sharp white teeth champed together till the lips were cut, and the mouth was smeared with a crimson foam. But Arthur never faltered. He looked like a figure of Thor as his untrembling arm rose and fell, driving deeper and deeper ther mercy-bearing stake, whilst the blood from the pierced heart welled and spurted up round it.” This passage is quoted not from any work of that past-master of horrible description, Edgar Allan Poe, but from a story coming under the title “Dracula,” from the pen of Mr. Bram Stoker and from the house of Constable. The extract serves a double purpose. It shows, in the first place, that Mr. stoker has at command such lurid power as no man has wielded since the scapegrace American genius died, and to men and women who have no desire for blood-curdling literature it may serve as a useful warning. Vampires, of the human variety, are the subject of the book, the most unnatural natural history of them is investigated, and the semi-scientific and semi-superstitious methods by which they may be destroyed are indicated with a ghastly skill that compels admiration. Space will hardly permit us to give an outline of the plot, but it is worth while to pick out a few of the salient features and characteristics of the vampire, so that our readers may know how to deal with it if they happen to come across one. The vampire, or “Undead,” is an inhuman human beast which preys in the night season and is powerless by day. At night it has the strength of twenty men and is invulnerable to ordinary weapons; but crucifixes, sacred wafers, and, oddly enough, garlic, are potent charms against it. For this reason, since all Spain reeks with garlic, there are, presumably, no vampires in Spain. Vampirism is contagious. The victims of the vampire become vampires themselves after death. Even before death their canine teeth become sharp and elongated, and after death the most charming young women, having been infected with the vampire poison in life, take to flitting about and gorging themselves upon the blood of children at Hampstead Heath. The life of the vampire’s victim may be prolonged for a time by transfusion of blood; but this process has its drawbacks, because the longer the vampire’s victim is kept alive the more pestilent does the victim become in the dead udead state of vampiriasm. In fact, vampirism is like hydrophobia, but worse, and the short way of dealing with vampires is to destroy them. How that is done our opening extract shows in part, but the gruesome process is not accomplished until the head has been severed from the body and the mouth has been stuffed full of garlic. A shorter and more certain cure seems not to have occurred to the eminent men of science who figure in Mr. Stoker’s pages. The vampire depends for his “peskiness” simply on his canines. Why not call in a dentist to play the part of the God from the Car? He could sterilise the fiercest vampire. But if the learned German Van Helsing had seen this obvious cure Mr. Stoker could bot have written a grim, weird, and fascinating story, and that would have been a thousand pities. Mr. Bram Stoker’s “Dracula” (Constable) will suit readers who delight in literary nightmares. The creature whose name supplies the title of the book is a vampire, endowed with peculiar powers. At certain times he was a man and a gentleman, at others he was a ghost with the capacity of creeping through the chinks of the window, at others a wolf or a bat, and at others a mere body in a box of dry earth. It was in this condition that he was vulnerable, and thus it was that he was caught and killed by the ancient method of driving a stake through his body. But before then he wrought much mischief, for he had a habit of catching beautiful young ladies and turning them into vampires, and they in their turn crept out of their tombs and caught poor children for their nefarious purposes. To write a book of this kind properly requires a very strong pen indeed; and it may truthfully be said that the author tells this impossible variant upon the old tradition in a way which conveys the idea of reality, and produces all those peculiar sensations which are to be expected from the “shocker” novel. “Dracula” is cleverly constructed, skillfully and strongly told, has a strong hold upon the imagination, and will hold its own with the few really powerful stories of its kind which have lived in literary history. Stories and novels appear just now in plenty stamped with a more or less genuine air of belief in the visibility of supernatural agency. The strengthening of a bygone faith in the fantastic and magical view of things in lieu of the purely material is a feature of the hour, a reaction – artificial, perhaps, rather than natural – against late tendencies in thought. Mr. Stoker is a purveyor of so many strange wares that ‘Dracula’ reads like a determined effort to go, as it were, “one better” than others in the same field. How far the author is himself a believer in the phenomena described is not for the reviewer to say. He can but attempt to gauge how far the general faith in witches, warlocks and vampires – supposing it to exist in any general and appreciable measure – is likely to be stimulated by this story. The vampire idea is very ancient indeed, and there are in nature, no doubt, mysterious powers to account for the vague belief in such things. Mr. Stoker’s way of presenting the matter, and still more the matter itself, are of too direct and uncompromising a kind. They lack the essential note of awful remoteness and at the same time subtle affinity that separates while it links our humanity with the unknown beings and possibilities hovering on the confines of the known world. ‘Dracula’ is highly sensational, but it is wanting in the constructive art as well as in the higher literary sense. It reads at times like a mere series of grotesquely incredible events; but there are better moments that show more power, though even these are never productive of the tremor such subjects evoke under the hand of a master. An immense amount of energy, a certain degree of imaginative faculty, and many ingenious and gruesome details are there. At times Mr. Stoker almost succeeds in creating the sense of possibility in impossibility; at others he merely commands an array of crude statements of incredible actions. The early part goes best, for it promises to unfold the roots of mystery and fear lying deep in human nature; but the want of skill and fancy grows more and more conspicuous. The people who band themselves together to run the vampire to earth have no real individuality or being. The German man of science is particularly poor, and indulges, like a German, in much weak sentiment. Still, Mr. Stoker has got together a number of “horrid details,” and his object, assuming it to be ghastliness, is fairly well fulfilled. Isolated scenes and touches are probably quite uncanny enough to please those for whom they are designed. Mr.Bram Stoker. A Chat with the Author of Dracula. This is the famous king vampire, Count Dracula, in ancient times a warlike Transylvanian noble. Jonathan Harker is conscious from the first that he is among ghostly and terrible surroundings. Even on the night journey to the Castle, wolves which have gathered round the carriage disappear when the terrible driver lifts his hand. On his arrival the guest is left waiting, and presently a tall old man, whom he suspects from the beginning to be none other than the driver himself, bids him welcome to his house. The Count never eats with his guest. During the day he is absent, but during the night he converses, the dawn breaking up the interview. There are no mirrors to be seen in any part of the ancient building, and the young solicitor’s fears are confirmed by the fact that one morning, when the Count comes unexpectedly to his bedroom and stands looking over his shoulder, there is no reflection of him in the small shaving glass Harker has brought from London, and which covers the whole room behind. The adventures of Jonathan Harker will be read again and again; the most powerful part of the book after this is the description of the voyage of the Demeter from Varna to Whitby. A supernatural terror haunts the crew from the moment that they leave the Dardanelles, and as time goes on one man after another disappears. It is whispered that at night a man, tall, thin, and ghastly pale, is seen moving about the ship. The mate, a Roumanian, who probably knows the vampire legend, searches during the day in a number of old boxes, and in one he finds Count Dracula asleep. His own suicide and the death of the captain follow, and when the ship arrives at Whitby, the vampire escapes in the form of a huge dog. The strange thing is that, although in some respects this is a gruesome book, it leaves on the mind an entirely wholesome impression. The events which happen are so far removed from ordinary experience that they do not haunt the imagination unpleasantly. It is certain that no other writer of our day could have produced so marvellous a book. Mr. Stoker told me that the knowledge of vampire superstitions shown in “Dracula” was gathered from a great deal of miscellaneous reading. In reply to further questions, Mr. Stoker said that he was born in Dublin, and that his work had laid for thirteen years in the Civil Service. He is an M.A. of Trinity College, Dublin. His brother-in-law is Mr. Frankfort Moore, one of the most popular young writers of the day. He began his literary work early. The first thing he published was a book on “The Duties of Clerks of Petty Sessions.” Next came a series of children’s stories, “Under the Sunset,” published by Sampson Low. Then followed the book by which he has hitherto been best known, “The Snake’s Pass.” Messrs. Constable have published in their “Acme” library a fascinating little volume called “The Watter’s Mou,” and this with “The Shoulder of Shasta,” completes Mr. Stoker’s list of novels. He has been in London for some nineteen years, and believes that London is the best possible place for a literary man. “A writer will find a chance here if he is good for anything; and recognition is only a matter of time.” Mr. Stoker speaks of the generosity shown by literary men to one another in a tone which shows that he, at least, is not disposed to quarrel with the critics. Mr. Stoker does not find it necessary to publish through a literary agent. It always seems to him, he says, that an author with an ordinary business capacity can do better for himself than through any agent. “Some men now-a-days are making ten thousand a year by their novels, and it seems hardly fair that they should pay ten or five percent of this great sum to a middleman. By a dozen letters or so in the course of the year they could settle all their literary business on their own account.” Though Mr. Stoker did not say so, I am inclined to think that the literary agent is to him a nineteenth century vampire. Mr. Bram Stoker gives us the impression — we may be doing him an injustice — of having deliberately laid himself out in Dracula to eclipse all previous efforts in the domain of the horrible, — to “go one better” than Wilkie Collins (whose method of narration he has closely followed), Sheridan Le Fanu, and all the other professors of the flesh-creeping school. Count Dracula, who gives his name to the book, is a Transylvanian noble who purchases an estate in England, and in connection with the transfer of the property Jonathan Harker, a young solicitor, visits him in his ancestral castle. Jonathan Harker has a terrible time of it, for the Count—who is a vampire of immense age, cunning, and experience—keeps him as a prisoner for several weeks, and when the poor young man escapes from the gruesome charnel-house of his host, he nearly dies of brain-fever in a hospital at Buda-Pesth. The scene then shifts to England, where the Count arrives by sea in the shape of a dog-fiend, after destroying the entire crew, and resumes operations in various uncanny manifestations, selecting as his chief victim Miss Lucy Westenra, the fiancée of the Honourable Arthur Holmwood, heir-presumptive to Lord Godalming. The story then resolves itself into the history of the battle between Lucy’s protectors, including two rejected suitors — an American and a “mad” doctor — and a wonderfully clever specialist from Amsterdam, against her unearthly persecutor. The clue is furnished by Jonathan Harker, whose betrothed, Mina Murray, is a bosom friend of Lucy’s, and the fight is long and protracted. Lucy succumbs, and, worse still, is temporarily converted into a vampire. How she is released from this unpleasant position and restored to a peaceful post-mortem existence, how Mina is next assailed by the Count, how he is driven from England, and finally exterminated by the efforts of the league—for all these, and a great many more thrilling details, we must refer our readers to the pages of Mr. Stoker’s clever but cadaverous romance. Its strength lies in the invention of incident, for the sentimental element is decidedly mawkish. Mr. Stoker has shown considerable ability in the use that he has made of all the available traditions of vampirology, but we think his story would have been all the more effective if he had chosen an earlier period. The up-to-dateness of the book — the phonograph diaries, typewriters, and so on—hardly fits in with the mediæval methods which ultimately secure the victory for Count Dracula’s foes. I am sure that you will not think it an impertinence if I write to tell you how very much I have enjoyed reading Dracula. I think it is the very best story of diablerie which I have read for many years. It is really wonderful how with so much exciting interest over so long a book there is never an anticlimax. It holds you from the very start and grows more and more engrossing until it is quite painfully vivid. The old Professor is most excellent and so are the two girls. I congratulate you with all my heart for having written so fine a book. With all kindest remmembrances to Mrs Bram Stoker & yourself. In the soft moonlight the distant hills became melted,, and the shadows in the valleys and gorges of velvety blackness. The mere beauty seemed to cheer me; there was peace and comfort in every breath I drew. As I leaned from the window my eye was caught by something moving a storey below me, and somewhat to my left, where I imagined, from the lie of the rooms, that the windows of the Count’s own room would look out. The window at which I stood was tall and deep, stone-mullioned, and, though weather-worn, was still complete, but it was evidently many a day since the casement had been there. I drew back behind the stonework and looked carefully out. These scenes and situations, striking as they are, become commonplace compared with Count Dracula’s goings on in London. As Falstaff was not only witty himself but the cause of wit in other people, so a vampire, it seems, compels those it has bitten (two little marks on the throat are its token, usually taken by the faculty for the scratches of a broach) to become after death vampires also. Nothing can keep them away but garlic, which is, perhaps, why that comestible is so popular in certain countries. One may imagine, therefore, how the thing spread in London after the Count’s arrival. The only chance of stopping it was to kill the Count before any of his victims died, and this was a difficult job, for, though several centuries old, he was very young and strong, and could become a dog or a bat at pleasure. However, it is undertaken by four resolute and highly-principled persons, and how it is managed forms the subject of the story, of which nobody can complain that it is deficient in dramatic situations. We would not, however, recommend it to nervous persons for evening reading. ‘Dracula,’ by Bram Stoker; Hutchinson and Co., London, per George Robertson and Co.— This book is positively unique. We confess to not having conscientiously read every page; for, after having perused the passage which will be presently transcribed, sampling the remaining two or three hundred proved equally paralysing. We should hardly think that one man was equal to the concoction of.400 pages of this kind of thing. Collaboration must have been resorted to;but we repudiate the notion that any of Dr. Cleland’s patients could have piled up the horrors as effectually as the writer of this work has done. We have been reminded how easy it was in the ages of credulity to avoid overstepping the boundaries of belief. But in Mr. Bram Stoker a writer has arisen who intrepidly assumes that mediaeval gullibility is in full survival. He appeals to his readers with the most horrid, yet in some respects the most ludicrous, romance of vampiredom to be found in literature. It is a bold attempt to concentrate the fables and superstitions which have existed in Eastern Europe especially for many centuries into a shape sufficiently like reality to cheat the imagination of the nineteenth century. Can the modern reader be induced to bestow a passing belief upon vampires any more than upon sylphs and salamanders? Where most men would answer no, Mr. Stoker says yes, and confidently tries the experiment. It may be argued that he does no more than imitate the hardihood of Sheridan Le Fanu, but that gifted author contented himself with an outline, and never ventured upon the elaboration of detail with which Mr. Stoker surrounds his vampire Count Dracula and the victims upon whom that monster preys in modern England. There is an extensive literature upon the subject of vampires, which this author must have studied with a minuteness and assiduity just sufficient to wreck his purpose. For if he had not painted into his gruesome portrait all the habits and characteristics supplied by a wealth of tradition, we could have believed in it better. Vampires – the “living dead,” whose corpses cannot decay, but who have the power of’ rising from their graves at night to batten upon the blood of human beings – are the Vroucolakas of the Greeks. They have been treated of by an old German writer, Michael Raufft, in his learned book “De Masticatione Mortnoruin in Tumulis,” by the Frenchman Calmet, and by many another grave-faced sifter of mediaeval superstitions. All agree that these unpleasant nocturnal prowlers, who stalk abroad murdering and blood-sucking, are most common in certain countries, to wit, Silesia, Moravia, Hungary. Consequently to Hungary – or rather, well to the eastward of Transylvania – Mr. Stoker betakes himself in search of the home of his foul wanderer. He dwells, half man, half brute, in a gloomy castle in the deepest recesses of the Carpathians, surrounded by a bevy of lovely yet loathsome females, blood-suckers like himself. The mistake is that as Mr. Stoker designs to transport his monster to England, there to feast upon the teeming population of the metropolis, he is tempted to introduce Dracula in too strong a light. The more intimately we regard a vampire and take stock of his proceedings, the more disposed we are to forget horror in scepticism. Ancient records of vampiredom avoided this, partly because they were deliciously vague. Raufft tells mainly of swinish munchings in thie grave by certain evil-disposed and voracious corpses, which is a violation of social proprieties, but little more. Calmet, in his dissertation on the vampires of Hungary, contents himself with concluding that there are numbers of “revenans” whose bodies the earth rejects, but he refrains from committing himself to the theory that they may be actually caught either entering or leaving their graves. And he takes the highly sensible view that a pretension of the Greek Church, to the effect that the earth would not retain corpses which had come under orthodox excommunication may be accountable for the prevalence of vampiredom in Slavonic countries. But no difficulties daunt Mr. Bram Stoker. At close quarters we are shown the vampire endowed with all the attributes which the amalgamated superstitious of the ignorant in all ages have woven about him. He is man insomuch that he must pass the daylight hours in his human form reclining upon ‘ a heap of’ foul-smelling earth, loads of which he convoys with him as personal luggage for this necessary purpose. He casts no shadow, gives back no reflection in any mirror; he can come and go through the merest crevice, can materialise out of moonlight mist, can change at sunrise or sunset to bat or wolf, can command certain of the lower brutes, cannot cross running water save at slack or ebb of tide, can transform into vampires all upon whose blood he feasts; and so forth. We are gravely invited by our romancist to contemplate a monster of this perplexing sort astir in busy London – to watch him being fought by energetic, intelligent men of the modern world with such weapons as garlic flowers, sacred wafer, and crucifixes. No more staggering demand upon what Mr. Gosse terms “temporary credence” could well be made, for Mr. Bram Stoker writes for a community mainly Protestant and for an age in which belief in the efficiency of relics and symbols has almost disappeared. It is true that the author does not lean over confidently upon these agents. They can but alleviate the danger to be apprehended from the viciousness of a vampire out on business. The radical cure is effected as of old by knife and pointed stake. Mr. Stoker, though he does presume immensely upon the capacity of modem to gape and swallow, concludes that their credulity will not stand a severer test than that of their mediaeval ancestors. An infallible correctivee of vampiredom has always been to cause the suspected grave to be beaten with a hazel twig wielded by a virgin not less than twenty-five years old. Yet in practice the severed head and the stake driven the heart were ever preferred. W hen the pinch comes, our latter-day author discards his theory of remedy by exorcism as gracelessly as his predecessors abandoned the hazel twig. The latest additions to Messrs. Hutchinson’s Colonial Library include stories grave and gay, sensational and domestic. Pre-eminently striking is Bram Stoker’s “Dracula,” notwithstanding that it is in great part a reversion to old-fashioned methods. Its plot is unfolded by letters and diaries in regular painstaking fashion, after the manner of Wilkie Collins. As for the plot itself, it is ghastly beyond belief. Not even Sheridan Lefanu in his wildest moments ever conceived anything to equal it for haunting horror. It is a story of human vampires and demoniacal possession, of midnight apparitions and life-in-death. The book must be carefully kept out of the way of anyone with weak nerves; but for those who can stand it there is a fearful joy in the gradual making clear of the tremendous mysteries involved. The art of the author is of quality high enough celare artem. There is no attempt at fine writing, and the simple details almost bring conviction. If they quite brought it, farewell to the reader’s peace of mind! 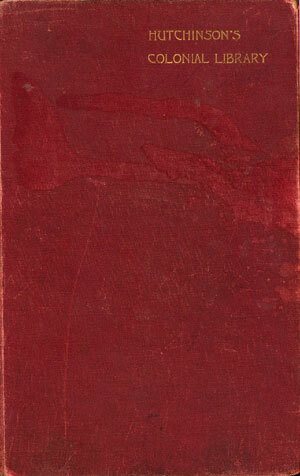 “Dracula,” by Bram Stoker (Archibald Constable and Co., sixpenny edition).—The latest firm to join the ranks of those who publish sixpenny editions of their copyrighted works is that of Messrs. Archibald Constable end Co., and they have begun well with “Dracula.” Nothing Bram Stoker has written has taken greater hold on his admirers than this weird, creepy story of vampires, which he has manage(sic) to invest with so great an air of probability. Issued first in 1897, its success was immediate and considerable. It was just what was wanted by a public always more or less eager after books with a spice of superstition and the unknown in them, and as it was cleverly put together, with the theme handled in a peculiarly eery (sic) style, they seized on it eagerly, and rejoiced in the cold thrills it sent down their backs. In sixpenny form it will have a still wider circulation, and that large section of the community who delight in ghost stories and all their variants will have an opportunity of gloating over one of the best of the later-day types thereof. Desultorily glancing through older issues the other day I dropped across a very peculiar work by Bram Stoker. One does not know whether to praise it as the most admirable compilation of legend relating to an international superstition, or to condemn it as literature of a most pernicious nature. It is “Dracula,” a narrative based on the superstition of the dead-alive, or the vampire. It is a truly awful book, for, even while one laughed at himself for doing it, he was impelled to latch his window when reading it at midnight. Mr Stoker seems to have got hold of every oldwife’s tale from all countries, and he has made a curious olla podrida of modern science and invention and blood-sucking dead-alives of the Hungarian legend, amongst whom a crusade is successfully instituted by means of the most orthodox methods of the stake through the heart, the garlic garland, and the sacred wafer on the lintel. As a record of ancient superstitions brought down to modern times and made up to date “Dracula” is very entertaining reading. But it is a book that leaves a painful, not to say fearsome, impression, which the perusal of a score of successive and differing works cannot altogether remove. The sixpenny edition is now in circulation. M.
“Dracula,” by Bram Stoker, an exceedingly dramatic story of a human vampire, which has already attracted attention in America and England as a serial, will be published by Doubleday & McClure Company in a day or two. Bram Stoker, Sir Henry Irving’s manager, is engaged in letters as well as in theatrical matters, and has written a blood-curdling romance of vampires and black magic, called “Dracula,” which is published by the Doubleday & McClure company. It belongs to the order of “Flames,” “The Statement of Stella Maberley,” “The Carissima,” etc., not to mention such masterpieces as “A Strange Story,” “Thrawn Janet,” and “The Horla.” No doubt Mr. Stoker’s fiends are very horrible and obscene, but the story lacks the touch of imagination which is indispensable for producing shudders. Moreover, it is far too long and although the author has obviated this fault as far as possible by an ingenious use of the Wilkie Collins composite style, the interest is not maintained through so long a stretch of supernaturalism. When Victor Hugo said of Beaudelaire that he had added a new shudder to literature he indicated an achievement which countless novelists have since wished to make their own. Most of them have failed. Mr. Bram Stoker has succeeded. “Dracula” is a book of horrors. In some passages the tension is equal to that of the most agonizing nightmare, but the whole work is kept well in hand; consistent from start to finish. It leaves an impression of life and not of mere invention. The author is daring in more ways than one. Choosing a human vampire for the pivot on which his extraordinary drama is to revolve, he has realized that an atmosphere of graveyard mystery must envelop the monster. Those who have read “A Mystery of the Campagna,” that clever little story of a vampire by an author who has preferred to remain anonymous, will recall the startling effects which may be gained by an exploitation of the mysterious motive alone. But Mr. Bram Stoker brings his Count Dracula from the bleak castle in the Carpathians which shrouds his evil doings in gloom, and turns him loose in England, there to carry out his unspeakable plans amid people and scenes as modern and matter of fact as those of the vampire’s home are strange and romantic. The spell of the author’s grisly tale is thereby imperilled, but thanks to the skill with which he writes, it remains unbroken. We watch the conflict between Dracula and the group if English people leagued against him with too intense an interest in the amazing spectacle to be at all disconcerted by the impossibilities it involves. One source of triumph of Mr. Stoker’s triumph is to be found in the good faith with which he advances his terrible situations. He sets forth slowly, carefully, with due attention to every little detail and thus weaves around his hideous central figure a tissue of perfectly natural things. The honest men who are fighting the vampire may do incredible deeds; they may visit burial vaults at midnight and go through scenes which we must leave Mr. Stoker to describe; but they and their performances are treated with a calm particularity that is in itself impressive and convincing. Then he has considerable ability in the representation o f in the representation of objects and happenings, so that the reader really sees them. Witness the account given by Jonathan Harker, one of the characters, of Count Dracula’s mode of going about the castle in which the Englishman is temporarily a prisoner. The window at which I stood was tall and deep, stone-mullioned, and, though weather-worn, was still complete, but it was evidently many a day since the case had been there. I drew back behind the stonework and looked carefully out. What I saw was the Count’s head coming out from the window [on the floor below]. I did not see the face, but I knew the man by the neck and the movement of his back and arms. In any case I could not mistake the hands which I had had so many opportunities of studying. I was at first interested and somewhat amused, for it is wonderful how small a matter will interest and amuse a man when he is a prisoner. But my very feelings changed to repulsion and terror when I saw the whole man slowly emerge from the window and begin to crawl down the castle wall over that dreadful abyss face down with his cloak spreading out around him like great wings. At first I could not believe my eyes. I thought it was some trick of the moonlight, some weird effect of shadow; but I kept looking, and it could be no delusion. I saw the fingers and toes grasp the corners of the stones, worn clear of the mortar by the stress of years and by thus using every projection and inequality move downwards with considerable speed, just as a lizard moves along a wall. It’s not every actor that has as versatile agent as Sir Henry Irving, Bram Stoker is not only a shrewd business man, but a charming raconteur and remarkably clever writer. His new book, “Dracula,” has been called by English critics one of the boldest pieces of imagination produced in recent years. And it’s all true. “Dracula” would almost turn your hair white. Since arriving in Boston, Bram Stoker, manager of Sir Henry Irving, has received a proposition to dramatize his latest book “Dracula.” If it is put on the stage “Dr. Jekyll and Mr. Hyde” in comparison will, it is said, become a pleasing memory. One of the most powerful novels of the day, and one set apart by its originality of plot and treatment is “Dracula,” by Bram Stoker. The author is well known in the dramatic world for his long connection with ir Henry Irving as manager. Several years ago he wrote a weird story of Irish life, but this is his first long romance. It is a somber study of a human vampire, the Count Dracula, who uses beautiful women as his agents and compasses the death of many innocent people. Theophile Gautier essayed the same subject, but his vampire, who was a priest by day and ravening wolf by night, was not half so terrible as this malignant Count with the three beautiful female devils who do his bidding. Nothing in fiction is more powerful than the scene at the killing of the vampire in Lucy’s tomb or that other fearful scene at the extinction of the malign power of the Count. The story is told in such a realistic way that one actually accepts its wildest flights of fancy as real facts. It is a superb tour de force which stamps itself on the memory. “Dracula” is a ghost-story by Bram Stoker, who has evidently allowed his imagination full play in its wild and weird incidents. The book has met with favour in England, and is now published in book form in America. It will soon appear as a newspaper serial. The wisdom of putting this story into the newspapers may be questioned, from a humanitarian point of view, for the ordinary reader will have to take a nerve tonic after its perusal, especially if inclined to timidity, and the newspaper public numbers thousands of nervous and superstitious people, some of whom are imbued with the particular legendary lore from which the conception of “Dracula” originally sprang. The author claims that the idea of the story came to him in a dream, and it is perfectly safe to conclude that the dream was a nightmare. named Lucy Westenra. Lucy eventually dies through this means, and a new character comes into the story, a German physician and scientist, who speaks broken English, and whose language lends a disagreeable air of realism to the incidents, being filled with pseudo-technical terms and alarmingly scientific phrases. At this point there is a curious mingling of science and folk-lore, and superstition, and the reader might imagine himself perusing old Cotton Mather’s Magnalia. dissected it with their knives. One wonders if the characters themselves did not feel in years after as if the whole thing had been a miasmatic vision of delirium; and the last chapter hints that they did. A Canadian edition of Bram Stoker’s “Dracula” will appear this month. The author has produced a strong and dramatic story of a human vampire, which has attracted wide attention in England and America. Many competent critics have pronounced it the most daringly successful work of imagination that has seen the light for some time. It is not a story for people with weak nerves, who are afraid of the gruesome. “Dracula,” by Bram stoker, is out in a Canadian edition in very pretty covers. It is a story of dramatic power that will at times make the reader’s flesh creep. The scene for the most part is laid among the Carpathian Mountains. Hello, i can’t find the star favorite, i really like this post! Hi Thea, this is a page, not a post. This blog theme (Black-LetterHead) doesn’t have the star favourite button for pages. I’m glad you like it. Thea has a great blog devoted to Italian silent films at http://sempreinpenombra.wordpress.com/ It’s in Italian, but worth the small effort of using an online translator if you can’t read Italian (like me! ).